Show your holiday spirit with a Christmas Card Tree! 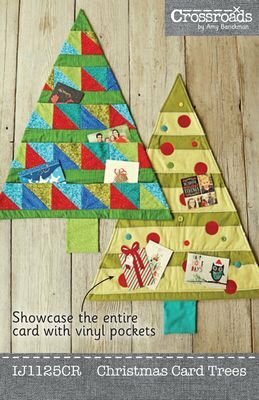 For the quilt lover, create pieced pockets The tree is structured with a batting lining and has a hidden ring for hanging at the top. For a clear view of your cards use clear vinyl for your pockets! Decorate the tree with fabric and button ornaments. Size: 38 h x30 W (not including base). Copyright © 2007-2019 - Cottage Quilting Ltd.